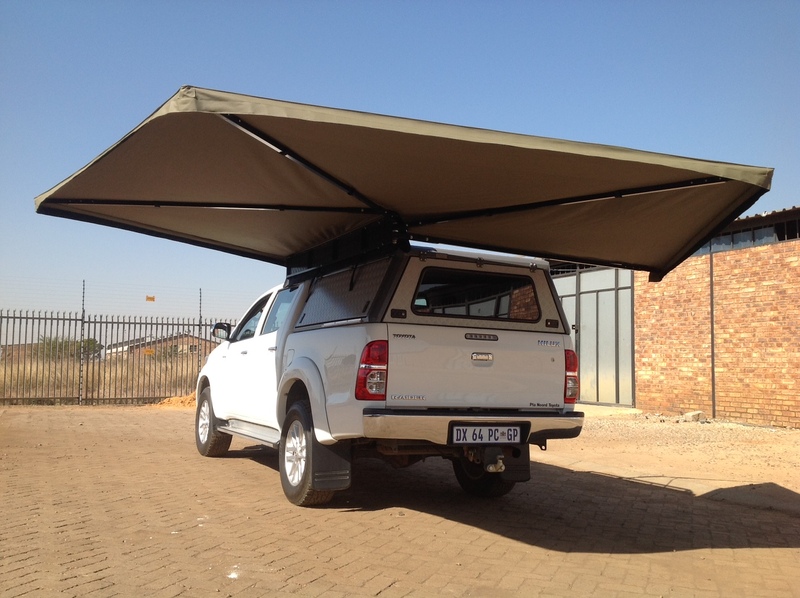 The Maxi shade 270 offers great shade and even greater convenience with its genuine one man operation. 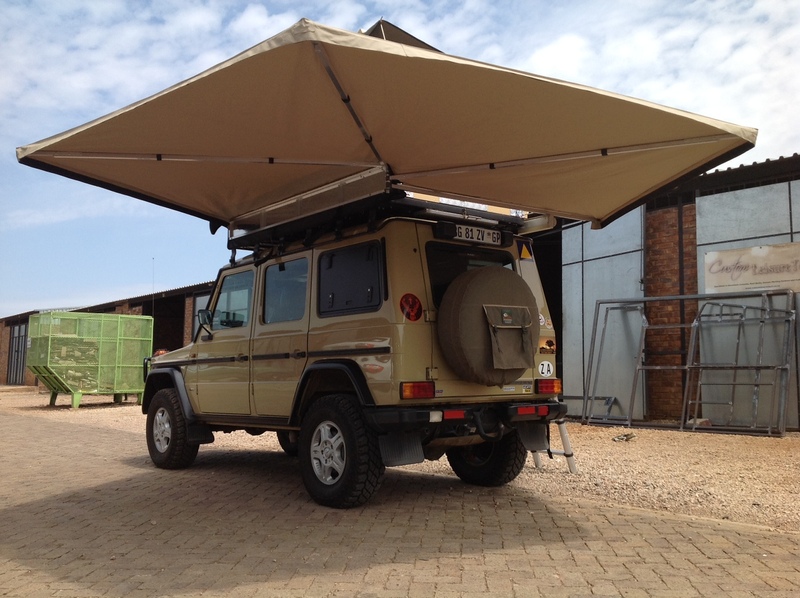 The awning is strong enough to stand unsupported in normal weather conditions, however we do also supply 4 x telescopic aluminium poles with guy ropes and pegs for when you intend to leave the awning set up for longer periods of time or in adverse weather conditions. 300gsm ripstop canvas material used for awning. This material is water proof and UV resistant. 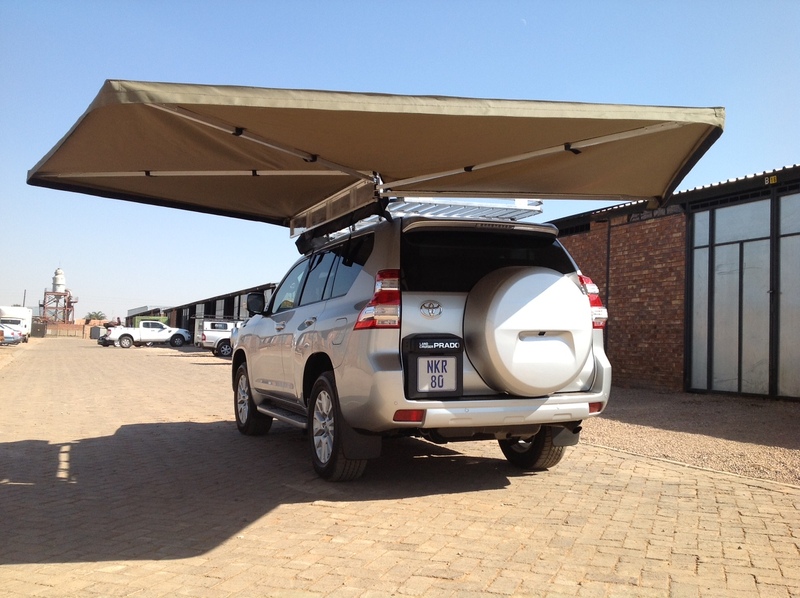 We also offer side panels for the awnings. 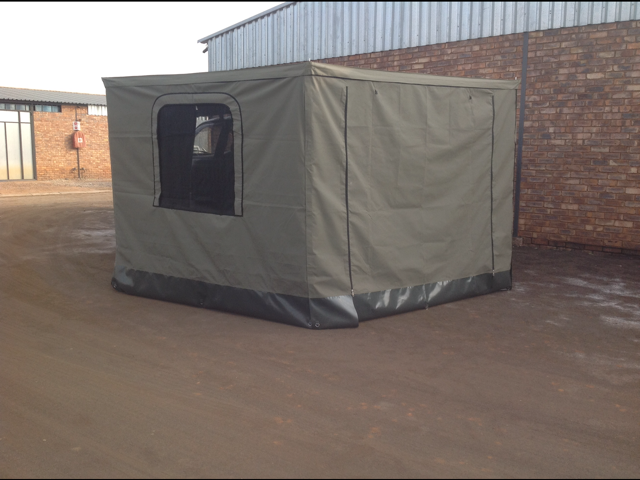 The cost of the add a room side walls is R950 each for the plain sides or R1 250 each for the sides with a window and shade net as well as the side with the access door. The panels are available individually or as a full set.